Power Systems & Controls will be travelling to the Canadian Defense Security & Aerospace Exhibition Atlantic 2015 in Halifax, Nova Scotia, Canada from September 8 – September 10, 2015. 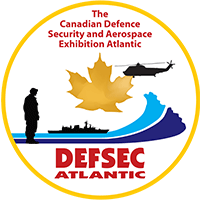 DEFSEC Atlantic is a major networking opportunity for the Aerospace, Defence and Security industries – the second largest of its kind in Canada. Incorporating elements of both a trade show and a defence procurement conference, DEFSEC Atlantic provides access to “the right people” in an engaging and professional setting. The event also brings all levels of government which often highlight the programs available to aid companies in future business development.